Who likes to be the eagle overlooking? If so will enjoy this 2nd Floor ready to move Right into Condo. Parking seems to always be an issue but not here having a Detached 1 Car Garage along w/ a 1 Car Parking Space incase ever needing. All appliances- Range, Refrigerator, Microwave & Dishwasher shall stay including Washer/Dryer giving Owner "Same Level Living". 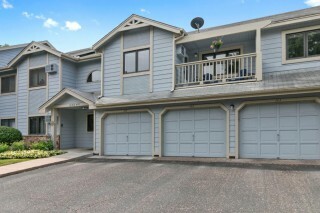 Don't miss LARGE WALK-IN CLOSET for your collection & sit on the Deck being the Eagle enjoying your home just purchased.